MACC leadership speaking on MACC’s vision in growing the grassroots, working with our legislature and the mission of our school groups. Brief explanation of how we will visit with legislators. Parking is best in the Department of Transportation/State Office Building parking lot. WHY I OPPOSE THE HOUSE ESEA HR5 – Student Success Act! The House ESEA bill (HR5) is being voted on this morning. This landmark bill was reintroduced, marked up and passed without public hearing, all within two weeks. Since that time, numerous bloggers have spent hours reading the bill and those analyses have been shared over and over. What is most egregious about HR 5 for me personally? The removal of states rights and authorities and parental rights. I am going to quote two specific paragraphs from HR5 Section 6561 for you below. First note that paragraph (a) states, in a convoluted way, that states rights and parental rights have already been removed. HR 5 is purported to bring back those rights under “local control”! The first paragraph is music to my ears! But then we go over to the 2nd paragraph (b-Amendment). Here is the true intent of this entire bill! If your state takes federal grant funds emanating from this ESEA re-write, states will “Waive their States Rights and Authorities”. In one fell swoop, we loose our states rights and along with that, a deeper loss of parental rights. Local control is out the door and the feds are in charge of your schools, children and families. Today is the House vote and it looks to be along party lines. Republicans (and a few Democrats) are shooting themselves in the foot as they push to centralize education in America. Most haven’t read the bills and lean on advisers. When I called my US Representative in Congressional District 3 and read portions of the bill over the phone to a staffer, they were frankly shocked. Did it make a difference? Is the US House listening to their constituents? There are many reasons to oppose this bill which includes what is about to happen to private schools and religious freedom. I hope this will help you understand why I (and our many members in MACC) are opposed to HR 5. THEY DO NOT EXPRESSLY WAIVE. Minnesota school district may opt out of the Common Core Standards as well as Common Core Standards curriculum. Oh, happy day!!! 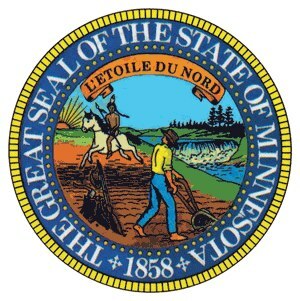 Minnesota Statute 120B.021, subd. 2 governs academic standards development, including standards adoption by the state. Subdivision 2, (2) specifically prohibits academic standards from requiring “a specific teaching methodology or curriculum.” This means that while the state is responsible for the development and adoption of standards in key subject areas such as language arts, math, science, etc., that school districts maintain control and authority over curriculum. Your school district may opt out of using Common Core Standards curriculum. Additionally, 120B.021, subd. 1a provides the waiver or exemption that empowers school districts to override a state adopted set of standards. It is the rigorous course study waiver and basically a school district can waive state mandated standards if the locally developed standards “that is equally or more rigorous than the corresponding state” standards. This waiver was intended on a student by student basis, but that does not mean the district could not apply it more broadly. Students or school districts may individually opt out of the Common Core Standards. Our school districts have more local control and authority than they either know or appreciate. There are provisions in state law intended to help protect local control. Time to call your district and demand that they stop using Common Core Standards and Common Core curriculum! Take 25 – 50 – 75 parents with you and demand… do not ask.